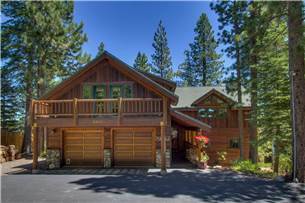 Blue Lake Lodge offers many unique features in addition to its stunning lake views of Lake Tahoe! 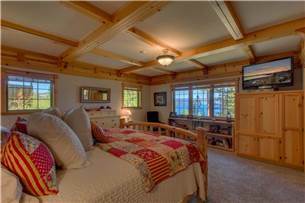 Summer or winter, this lovely mountain lodge home offers many unique features in addition to its stunning lake views. 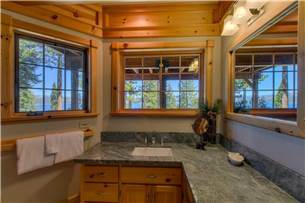 Blue Lake Lodge is located on an oversized lot nestled amongst the pines with lake views from almost every room in the house. 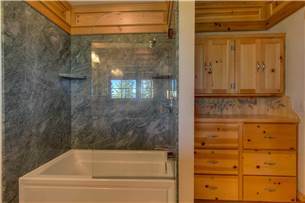 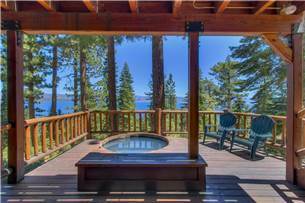 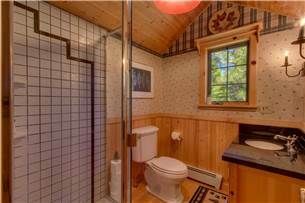 Enjoy the privacy of this wooded and secluded location while relaxing in the redwood hot tub, snuggled up by the fire with a good book, or dining on the 20'x40' main deck. 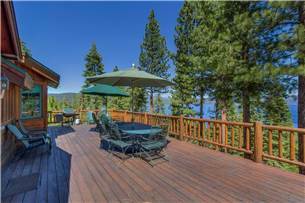 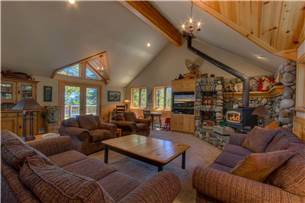 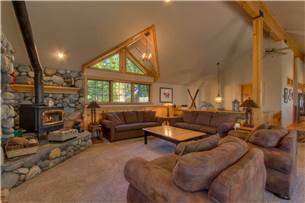 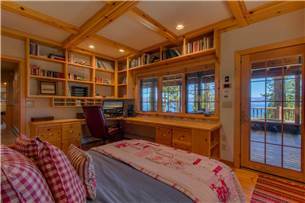 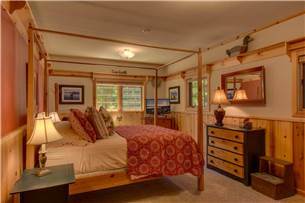 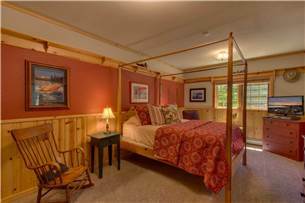 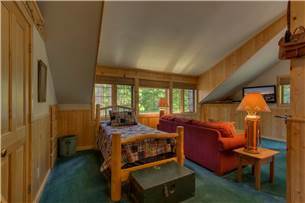 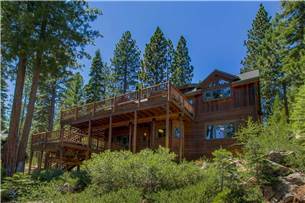 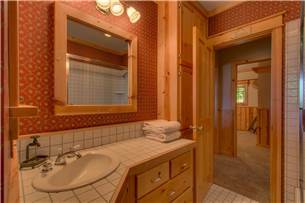 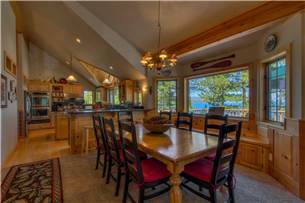 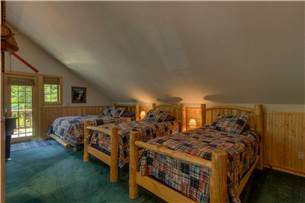 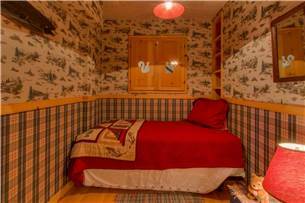 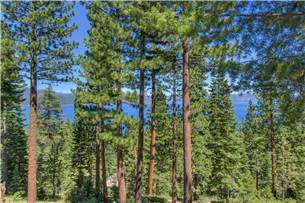 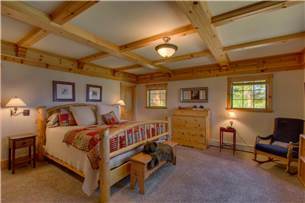 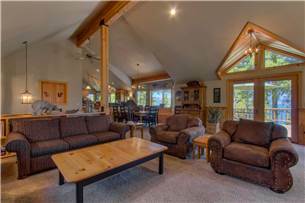 Hiking or skiing, this home is centrally located between numerous ski resorts. 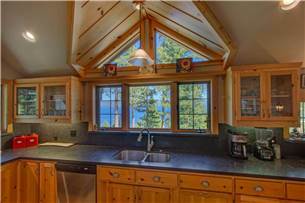 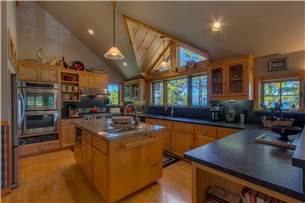 Vaulted ceilings, peeled pine log accents, chef's kitchen with a commercial stove and double ovens, and office space are just some of the distinctive features in this custom designed home. 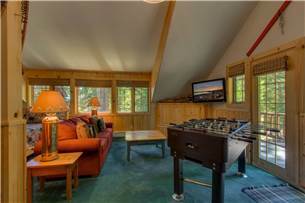 Dining Table Seating For 12 (with leaf)Great Room: Multiple Windows, Wood Burning Stove with River Rock Hearth, Surround Sound with TV/DVD & Stereo with CD PlayerSmall, Flat Screen TVs in Downstairs Bedrooms Washer/Dryer Gas Barbecue High-Speed Wireless Internet 2-Car Garage - Large Level Driveway Many homes are pet friendly, however this specific home is not. 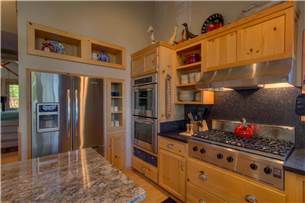 Please inquire about pet friendly homes.